A toast to social media! I met Melinda Ferguson, RDH on Linkedin. 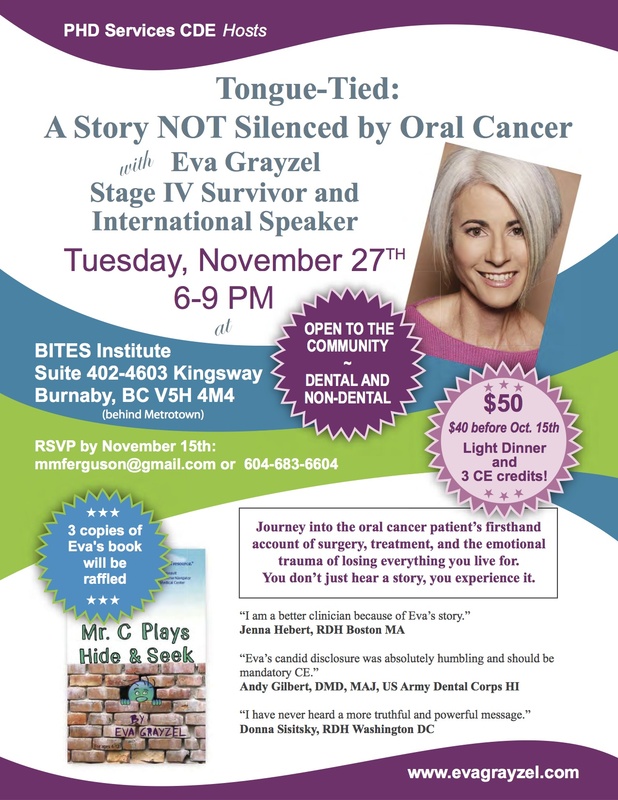 After contracting to be the keynote speaker for the British Columbia Cancer Agency’s Annual Cancer Conference in Vancouver, I contacted Melinda knowing she lived nearby. She jumped on the opportunity and booked me to speak for Professional Hygiene Development Services, which offers continuing education to dental hygienists. 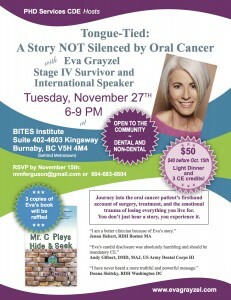 I made sure this wasn’t a conflict for the British Columbia Cancer Agency before I confirmed the speaking opportunity with Melinda. I call this ‘piggy-backing.’ Since I’m already in town, there are no additional fees for travel. I pleased that non-dental professionals are invited. This is an opportunity for them to meet their partners’ colleagues. Also, they will learn about an issue not only critical to the dental field but also for themselves. Oral health is the key to overall health. Melinda is expecting a big crowd so register early!